Dom Perignon vintage Champagne gift 2009. Moet Chandon and is consistantly one of the worlds best Champagnes. 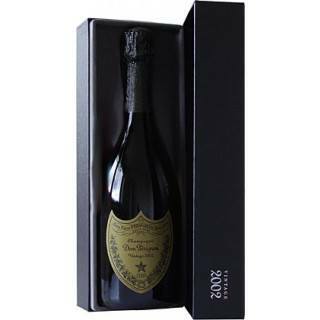 Dom Perignon vintage Champagne gift 2006 is the luxury cuvee of Moet Chandon and is consistantly one of the world's best Champagnes. It has a firm structure combined to flavours of lemons and limes, tropical fruits, dried fruits combined with floral and honey notes. If this is a special gift you can pick the delivery date after you checkout.